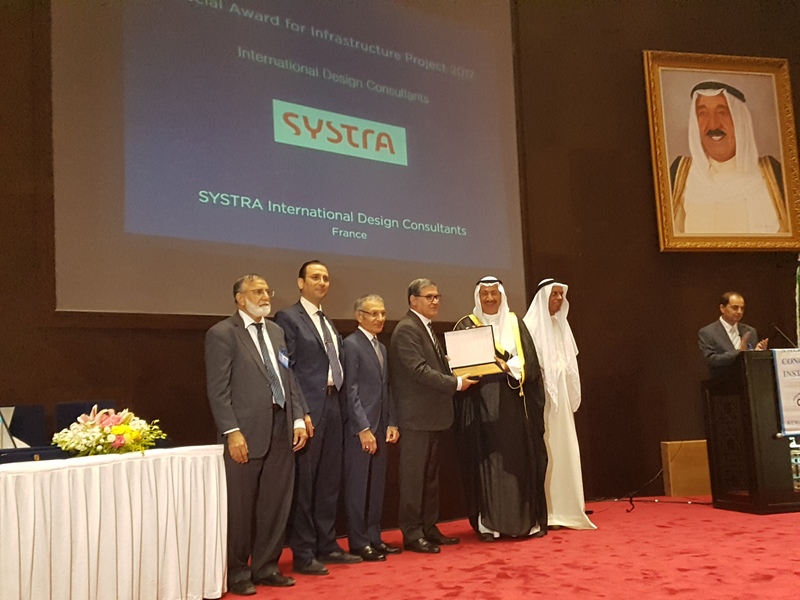 SYSTRA has received an award for its design role on the Sheikh Jaber Al-Ahmad Al-Sabah Causeway – Main Link, also known as the Subiyah Bridge. The award is from the Kuwait Chapter of the American Concrete Institute (ACI). At a ceremony on 7th May, His Excellency Mr Hossam Abdullah Al-Roumi, Kuwait’s Minister of Public Works, presented SYSTRA project director Mohamed Akraa with the ‘Special Award for Infrastructure Project 2017’ in our capacity as the international design consultant. The Sheikh Jaber Al-Ahmad Al-Sabah Causeway is one of the largest, most iconic transport infrastructure projects in the Middle East and one of the world’s longest maritime causeways (with the Doha link). As lead designer, SYSTRA has delivered more than 15,000 drawings and more than 620 reports for the project. More than 260 SYSTRA employees from France, Korea, India and Dubai collaborated for more than three years on the design. This award is testimony to their achievement. The Sheikh Jaber Al-Ahmad Al-Sabah Causeway is scheduled to open at the end of 2018. It will reduce the distance between Kuwait City and the Subiyah area from 104km to just 36km and the journey time from around 70 minutes to less than 20 minutes. It will facilitate the integration of the northern regions of the country with the densely populated central and southern regions and contribute to reducing traffic congestion on surrounding roads. 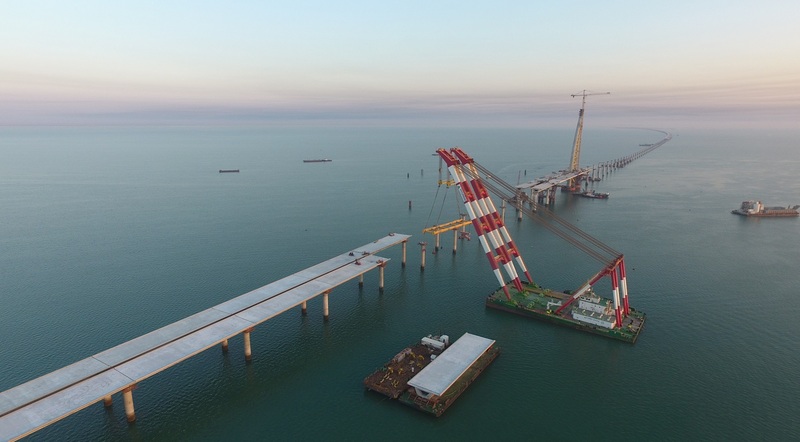 The project also includes the construction of motorway access roads on land partially reclaimed from the sea, two artificial islands housing maintenance facilities, two ports for administrative purposes and main administration building with its iconic visitors’ centre. SYSTRA ranks 12th in the world in bridges among international design firms in the Engineering News-Record (ENR) rankings, compiled before the acquisition of International Bridge Technologies in 2017.